Five, six, pick up sticks!" 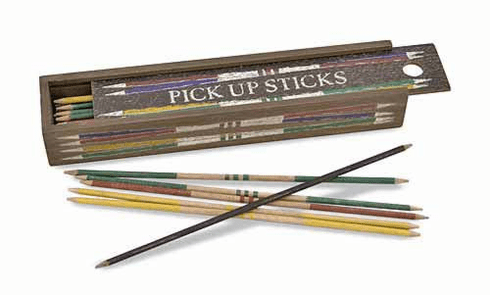 This set features 41 hand crafted wooden sticks and stores in a sturdy heirloom quality solid-wood box with a sliding lid! A detailed instruction booklet explains how to use the black stick and the meanings of the other important markings.